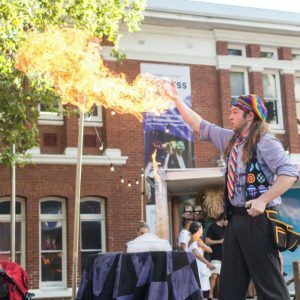 As the energy behind Perth’s 2018 FRINGE WORLD, Kleenheat’s on hand to help make WA’s largest and most popular annual entertainment festival the best yet in 2018. Tickets are already selling fast for some of this year’s must-see shows, but there’s also plenty in store for those looking to experience all the fun of Fringe on the cheap. The wild and wonderful Buskers Weekender comes to Fringe for the first time in 2018, featuring an array of artists popping up across colourful stages in Perth’s Murray Street and Hay Street Malls. Picture the Urban Orchard you know and love, transformed into a wild Dutch mini-festival with live music, performances and special surprises including a long table dining experience you’ll remember for years! Like most Fringe hubs – The Showman’s Fair is free to enter every night of the Festival, so drop in and soak up the vibes or warm up before an evening show. Look out for the silent disco in the authentic vintage lion’s cage and a tent where you go to be touched by God! For those looking to upgrade their Showman’s Fair experience for a bargain, mini-shows for just $5.00 offer some of the most surprising entertainment you’ll see in the Fringe. 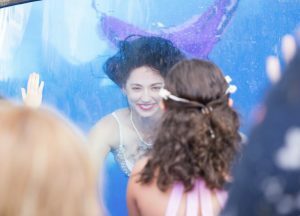 Perth’s favourite mermaids are back making a splash across a range of performances for the young and the young at heart in The Pleasure Garden. Catch a kiss, hear a tale, or enjoy a splash or two in the warm summer weather. The Splash Zone returns to entertain younger audiences (3-10), with sessions at 5:00pm every Saturday and Sunday night of the Festival, plus across the entire Australia Day long weekend. The Sprites deliver their tongue-in-cheek comedy and wet acrobatic show at 7:15pm every Saturday and Sunday of the Festival and every night of the Australia Day long weekend. The story of a lonely mermaid finding a new friend comes to life in Mermaid and Pirate Tales, inspiring good old-fashioned pantomime fun. Catch all the action at 5.10pm every Saturday and Sunday afternoon of the Festival and every day of the Australia Day long weekend. Blue Water Vaudeville is the Festival’s first after dark underwater micro-cabaret, featuring burlesque beauties, swimming sirens and obtuse oddities. Seek out the sirens of The Pleasure Garden at 10.45pm every Saturday of the Festival and on Friday 26 January. The 2018 Perth Chinese New Year Fair brings colour, dancing and fun to Northbridge from 12:00pm to 9:00pm on Sunday 18 February. This multicultural extravaganza includes a parade, stalls, cultural activities, lion and dragon dancing, multicultural concert, games and rides. Cultural performances will dazzle throughout the day across James Street, Lake Street and Roe Street’s Chinatown. 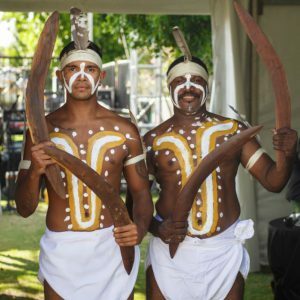 On Friday 26 January, Perth’s Supreme Court Gardens will host the Birak Concert as part of the Australia Day long weekend – including plenty of live music, dance, art and food – as a celebration of Aboriginal and Torres Strait Islander cultures and communities. The term Birak is used to describe the beautiful Nyoongar season – the balmy summer months of December and January – when the Moodjar tree flowers in bright orange. City of Perth is proud to continue its support in growing this event each year, working with local Aboriginal communities to present an inclusive, all-ages celebration everyone can enjoy. We’re proud to be the energy behind this year’s FRINGE WORLD, helping make WA’s most popular annual entertainment festival bigger and better in 2018. With Kleenheat, you’ll experience better value energy from a WA born and bred company with a commitment to supporting our home state. Switching’s easy – just a few minutes online or over the phone.